Puppy Bouquets Go Viral! | Shoot & Share | Helping Photographers Book More Clients. What is better than flower bouquets?? How about Rescue Puppies!! Yes, it’s true. 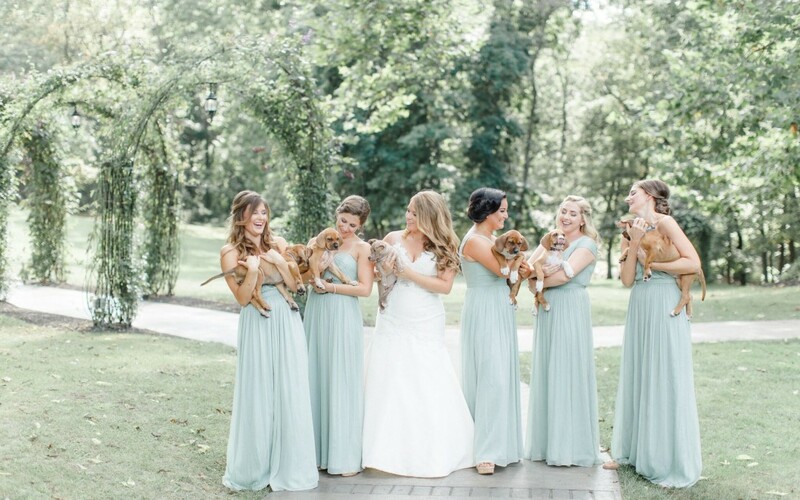 These bridesmaids turned in their flower bouquets in exchange for some of the cutest puppies you’ve ever seen. And this bride is the real deal – she works every single day with rescue puppies and has a huge heart for them. But okay, seriously, you need to check out some of these photos. So far she’s been featured on: Ellen Degeneres, ABC, Huffington, People, Inside Edition, Telegraph, Cosmopolitan, BuzzFeed, In Touch Magazine, E! News, Refinery 29, Martha Stewart, Live with Kelly, USA Today, and Good Morning America! From Caroline: “When the bride, Sarah, first came to me with this idea I was thrilled! Being a puppy lover myself (Who doesn’t love a litter of sweet rescue pups?! ), I was extra excited for Matt & Sarah’s day to arrive. Amazing work, Caroline! We are so excited to partner and work with you! You Can’t Do Everything. 20 Things I Outsource.